We’re appealing for witnesses following a serious collision in Havant on Tuesday evening. Officers were called at 6.30pm yesterday (August 21) following the incident involving a Vauxhall Corsa and a pedestrian on Elmleigh Road, Havant. The pedestrian, a 60-year-old man, suffered serious injuries and was taken to Southampton General Hospital for treatment. He remains in hospital at this time. The driver, a 20-year-old man, was uninjured. Officers investigating the exact circumstances of the collision are appealing for witnesses who may have seen what happened or who saw those involved prior to the incident. 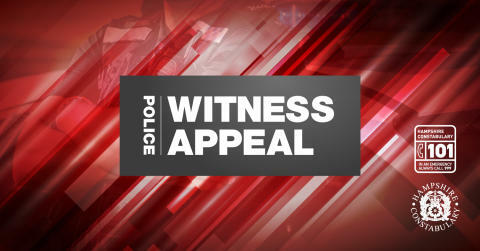 Anyone with information is asked to call us on 101, quoting 44180317326, or Crimestoppers anonymously on 0800 555 111. The driver, a 20-year-old man from Havant, was arrested on suspicion of driving when alcohol level above limit and driving a vehicle whilst unfit through drugs. He has since been released and remains under investigation.